How To Train Your Dragon Sequel Details Emerge!!!! How To Train Your Dragon of course is getting a sequel. It has made almost $500 million worldwide so far. 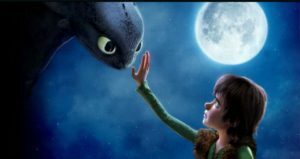 So THR has reported some details on what you might expect from the next How To Train Your Dragon film. This shaping up to be great, but like most sequels, if you put way too much money and have too many story lines, it will fail. Let us hope they don’t do this. This entry was posted on Tuesday, February 8th, 2011 at 1:58 pm	and is filed under Film, News. You can follow any responses to this entry through the RSS 2.0 feed. You can skip to the end and leave a response. Pinging is currently not allowed. « J.J. Abrams Lets Us In On Some Of The Mysteries Surrounding Super 8!!! I could run them over.